Graffiti is becoming more of an art form now than ever before, and some of the most incredible graffiti art can be found on the streets of Portugal. 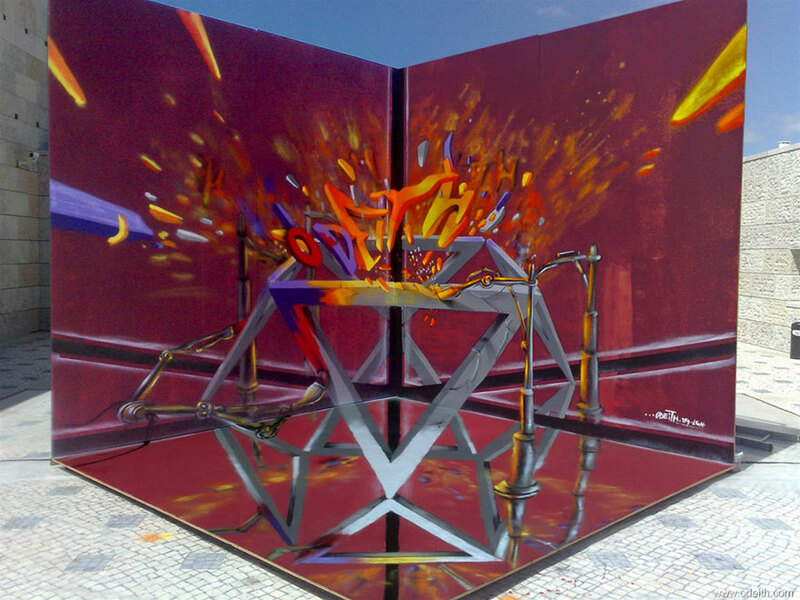 Portugal is known as one of the birthplaces of graffiti, and one graffiti artist well worth noting is Lisbon-based artist, Odeith, who has become famous for his amazing ‘floating’ graffiti. 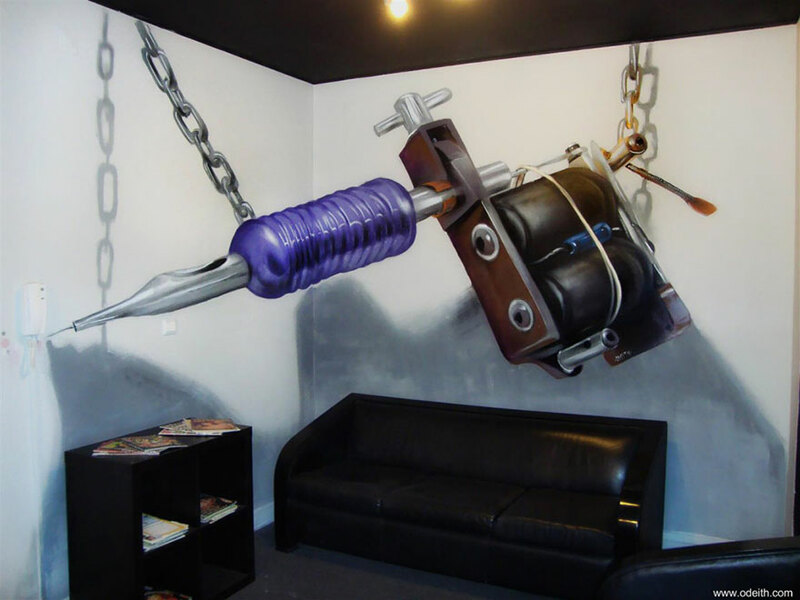 Odeith has been experimenting with perspective in his anamorphic artwork for well over a decade. His illusion-street-art creates the perception that they’re floating 3D sculptures – pretty incredible, huh? 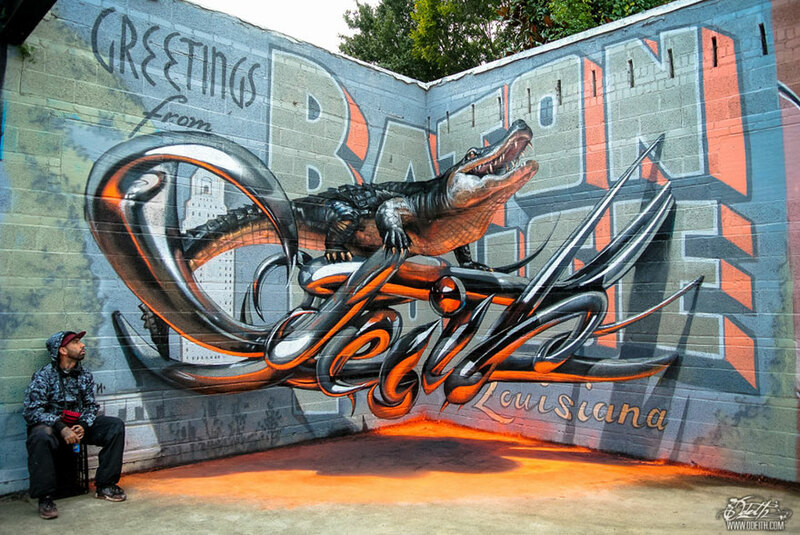 By including the ground in his graffiti, Odeith makes it look like his paintings are floating as they cast shadows on the ground and in some cases give off light. You might think these stunning pieces of street art were achieved with modern 3D software, but if you look closely enough you can notice the ever-so-slight imperfections to be convinced and reassured that they are of a street artist’s work. 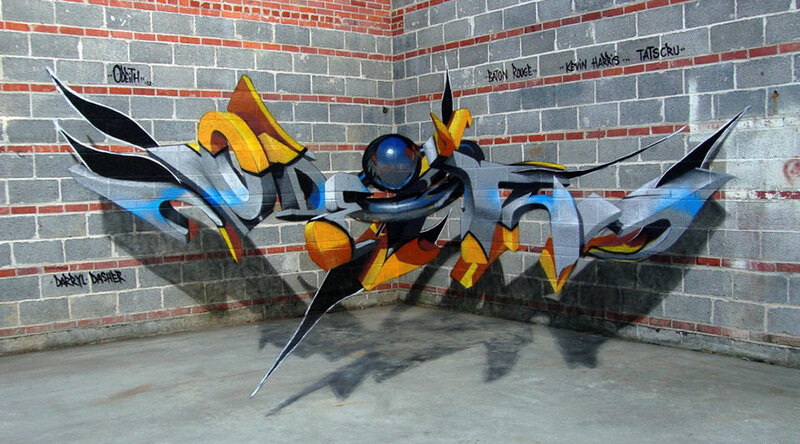 The street artist, Odeith, was born in 1976 and picked up his first spray can in the mid-80s. He started small, sketching out works of graffiti art on street walls. It wasn’t before long that his talent was noticed and his work took off in 1990s – right alongside the boom of street art taking place in Portugal around the same time. 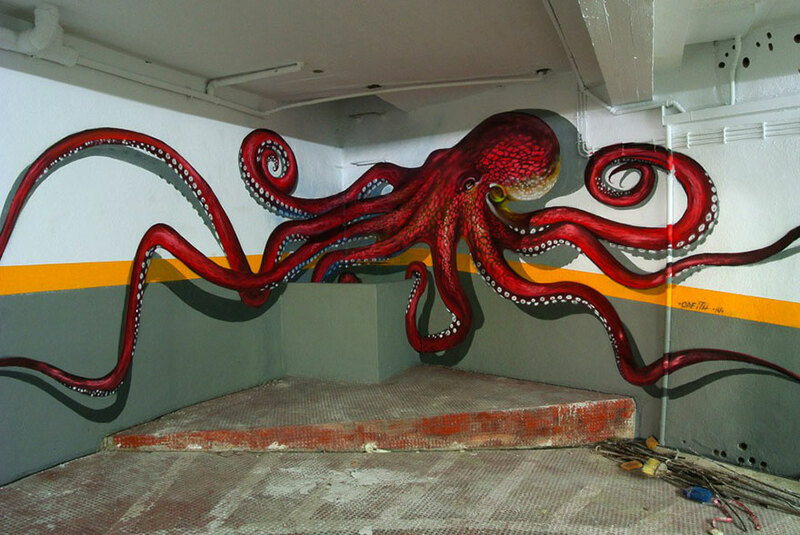 As Odeith’s work became noted, he got the opportunity to create large murals in Damaia, Carcavelos, along with other neighbourhoods, including Santa Filomena, Cova da Moura, and 6 de Maio. Odeith has never taken art lessons. 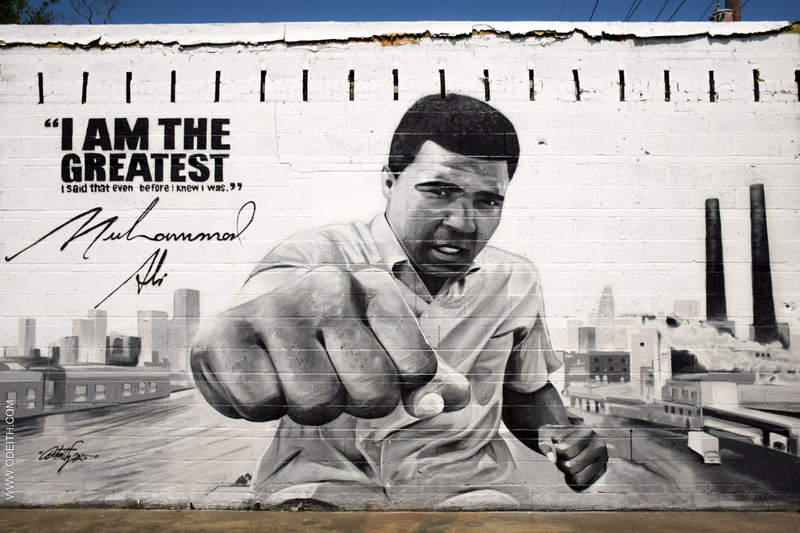 At only 15 he dropped out of school and worked hard to pursue his dreams as a street artist. Odeith persisted in his dream and now has a portfolio full of projects for names including Coca-Cola, Samsung and many more. It just shows that an artist should never give up on their dream! 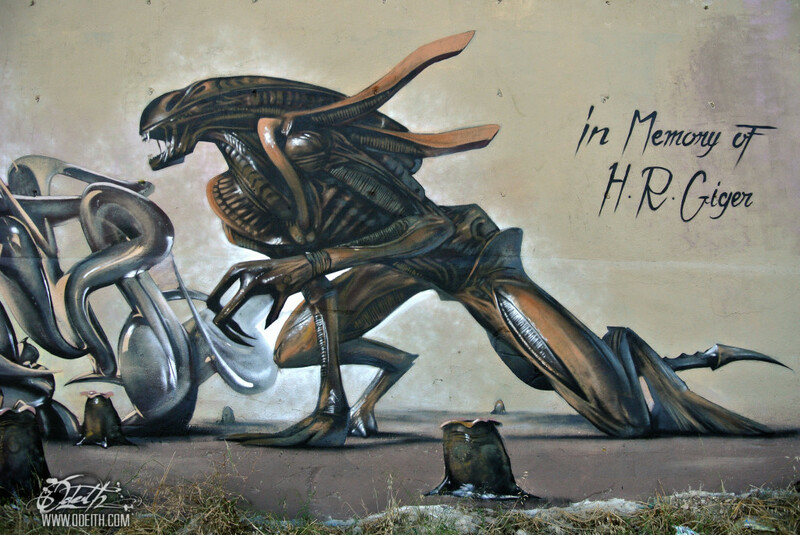 If you like Odeith’s graffiti artwork above, you can find more on his website, www.odeith.com. You can also buy digital prints of his masterpieces and discover where you can go and see his creations in Lisbon and surrounding areas.